Let’s say what needs to be said about Wes Anderson, the ace student whose school uniform is now way too tight. (He’s smart enough that he just might learn something.) Rushmore turned adolescence into a geeky dream and the gag felt fresh. 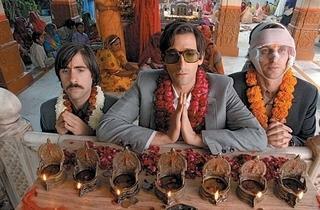 But The Royal Tenenbaums indicated a more troublesome arrested development, and things only got worse from there. Now this most material of directors—obsessed with itineraries, spotted mice and cozy interiors—attempts the spiritual in Satyajit Ray’s India and it’s a joke. He’s got to loosen up his fussy frame and let a little air in, or die of suffocation. 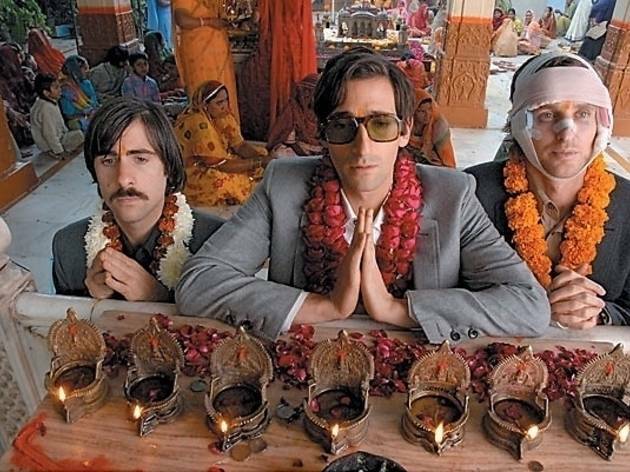 The Darjeeling Limited sends its three fastidious brothers (Wilson, Brody, the increasingly unfunny Schwartzman) into subcontinental wilds. Are they on a missing-mother quest? Mourning dear, dead Dad? Working on those estrangement issues? Try all three, with some incidental action such as the death of a young Indian boy to keep things fun. It’s easy to know when Anderson is being serious: He slows down the camera to an underwater slog, pumps up a strummy Kinks song and has people run solemnly. Regardless, you know he’d rather have you concentrate on the sibs’ matching Louis Vuitton luggage than their stoic demeanors. The most moving scene is wholly unintended: Owen Wilson unwraps his bandaged head in a mirror to reveal deep scars from an intentional car accident. “I guess I still have some healing to do,” he says. I don’t know anyone who doesn’t wish Wilson well these days. One must wonder how Anderson’s cutesy moviemaking has further objectified him.